OneRepublic in Montreal or Quebec City? Inform me about the next events for OneRepublic. Enroll yourself to our priority waiting list for OneRepublic to be alerted when new tickets are available. Filling this form doesn't engage you to any purchase. OneRepublic will be back in Montreal and Quebec City in the summer ! On August 9th, 2017, OneRepublic will be performing at the Centre Vidéotron. The group will then perform in Montreal, at the Bell Centre, on August 11th. 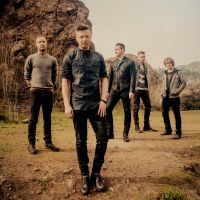 Their third album Native was released in March of 2013, and sold over 5 million copies, thanks in large part to their hit single Counting Stars. With a new album entitled Oh My My, the band is back at it, and will be taking their new songs on the road throughout this tour ! Don't miss OneRepublic in Montreal and Quebec City this Fall !